Yes, the United States Navy has teams of bottlenose dolphins trained to detect mines, other undersea objects and enemy divers. During training in the Pacific off the coast of San Diego, California, last month, a dolphin named Ten alerted his handlers to the presence of a suspicious object in an area where the trainers hadn’t planted anything. A week later a second dolphin, Spetz, alerted in the same area. He was sent back with a marker to pinpoint the precise location so the object could be retrieved. When the Navy divers recovered it, they found it was a Howell torpedo broken into two pieces. The dolphins have found unexpected things in the past, including a mine-shaped lobster trap during a mission off Canada with the Canadian navy. But a torpedo that was more than a century old and that the divers and trainers needed to consult explosives experts — and Google — to identify? 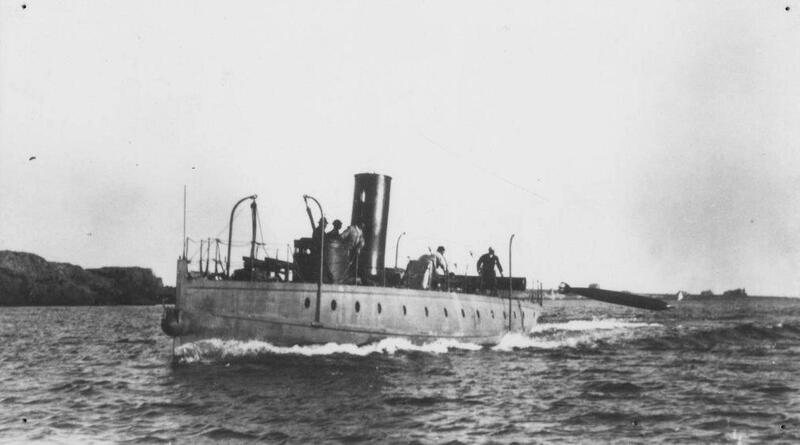 The Howell torpedo was the first torpedo to be produced in any quantity by the US Navy. It was invented in 1870 by Navy Lieutenant Commander John A. Howell, head of the Department of Astronomy and Navigation at the U.S. Naval Academy, but development took almost two decades. In 1889, the Navy ordered 50 Howell torpedoes from the Hotchkiss Ordnance Co. of Providence, Rhode Island. Powered by a flywheel that was spun at high speed before launch, the 11-foot-long Howell required no fuel, left no visible wake for the enemy to detect and could be surface-launched from battleships or launched underwater by torpedo tubes. It had a range of 400 yards and could reach a speed of 25 knots. Its flywheel acted as a stabilizing gyroscope to keep it on target. It had some marked disadvantages however. It was unwieldy, hard to load and hard to charge. The flywheel had to be spun by massive winches to get it going and once it was finally in the water, the flywheel was so loud it obviated the stealth advantage of wakelessness. In 1892, American manufacturer E. W. Bliss Company secured the rights to producing Whitehead torpedoes. Invented by English inventor Robert Whitehead in 1866, over the next few decades Whitehead torpedoes became established in the Navies of Austria, Britain, France, Germany, Italy, Russia and China. They were more expensive, but they were self-propelled with three-cylinder engines. For a while, the Navy tested both Howells and Whiteheads side by side (see this 1894 New York Times article about just such a test in Newport, Rhode Island), but by the late 1890s, the Whitehead was the undoubted victor. The Howells never made it past that initial 50 unit order. 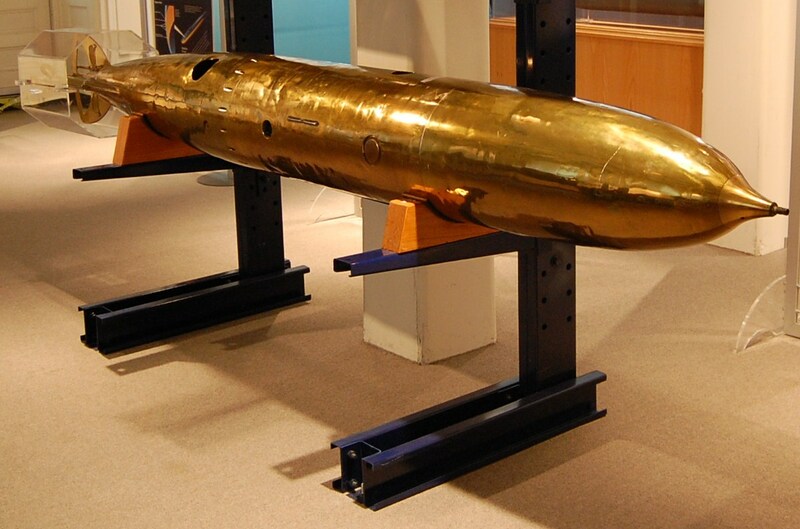 Before the kickass trained dolphins did their thing, there was only one known surviving Howell torpedo on display at the Naval Undersea Museum in Keyport, Washington. The discovery of a second one, by dolphin no less, is thus nothing short of epic. The newly recovered Howell is stamped “USN No. 24” which puts it right in the middle of the production run. Explosive experts have examined it and found that its century plus in the Pacific has rendered it inert. It’s at a Navy base right now being cleaned and prepared for shipment to the Naval History and Heritage Command in the Washington Navy Yard. This entry was posted on Sunday, May 19th, 2013 at 10:25 PM	and is filed under Modern(ish). You can follow any responses to this entry through the RSS 2.0 feed. You can skip to the end and leave a response. Pinging is currently not allowed. Yup. Which is why it’s so damn pretty. Such an interesting post. Dolphins are so intelligent. Thank you for sharing. I’m surprised the dolphins didn’t save it for their own secret navy. I, for one, welcome our new dolphin overlords.